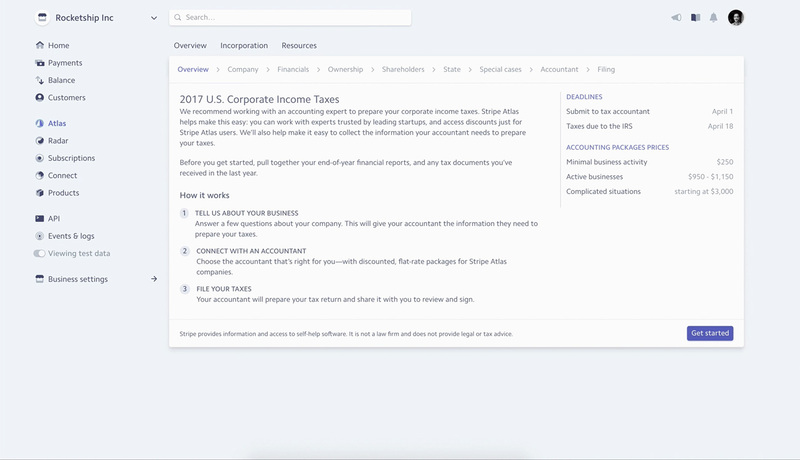 Today, we’re launching features to make business taxes easier for companies using Stripe Atlas. 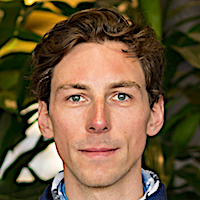 We’ve heard from many Stripe Atlas entrepreneurs that getting business taxes right is painful. It’s hard to know what taxes you owe, good accountants are expensive and hard to find, and fixing mistakes is even more expensive. All of this takes time away from building your product and company. Paying franchise tax and filing an annual report is a requirement for all Delaware corporations; it’s traditionally involved a bill in the mail and a confusing government website. You can now submit this filing with just a few clicks from the Stripe dashboard and no preparation fee. Since every company’s situation is different, we recommend working with an accountant to prepare corporate income taxes. We’ve handpicked experts used by top startups and worked with them to offer discounts of up to 50% for Stripe Atlas users. 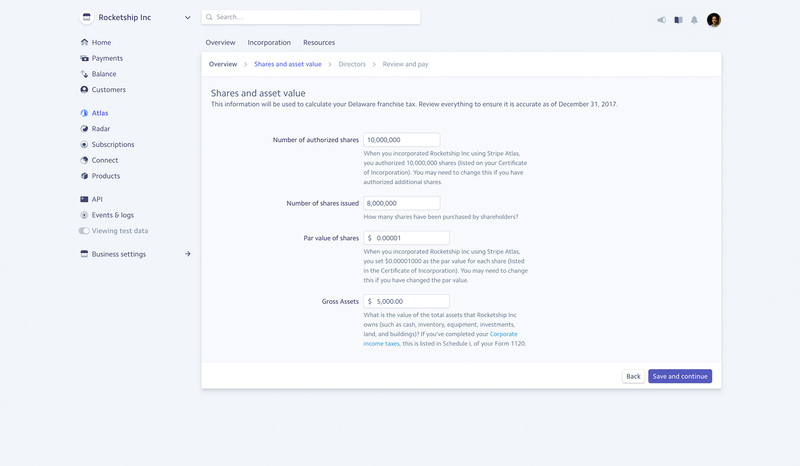 And Atlas makes it easy to collaborate with them: from the Dashboard, you can select the accountant who's right for you, answer a few questions about your business, and they’ll reach out to finalize your return. We’ve also published a new guide to help demystify tax season. We launched Stripe Atlas to make it simple to start a company. With tools for handling taxes, issuing stock to founders, renewing a registered agent, and a post-incorporation checklist, we hope Atlas continues to be helpful as you operate and grow your company as well. If you have any questions or feedback, please reach out!